In the fall of 2013, we decided to begin the move to the cloud. We spent weeks testing and retesting our users' workflow with various cloud services (notably Google Drive and Dropbox). Ultimately, we decided to go with the latter, simply because it had features that fit our existing workflow much better than any other options. Here are the top 5 reasons we chose Dropbox for our cloud storage. Dropbox automatically creates backups of files. While it does this, it also keeps versions of each file. 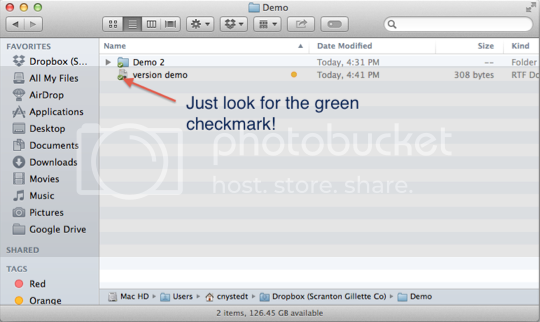 Not only can you restore deleted files, but also roll back a file to a more desirable save point. With business accounts, Dropbox includes a feature known as "Packrat', which extends the time backups are kept from 30 days to unlimited. Their backup system is also complete with a rollback feature, in case of disaster. Say something happens and all of your users' files get changed or deleted; give Dropbox support a shout, and they can roll a specific folder or folders back to a time of your choosing. With this, Dropbox also keeps a log of changes made to a file. 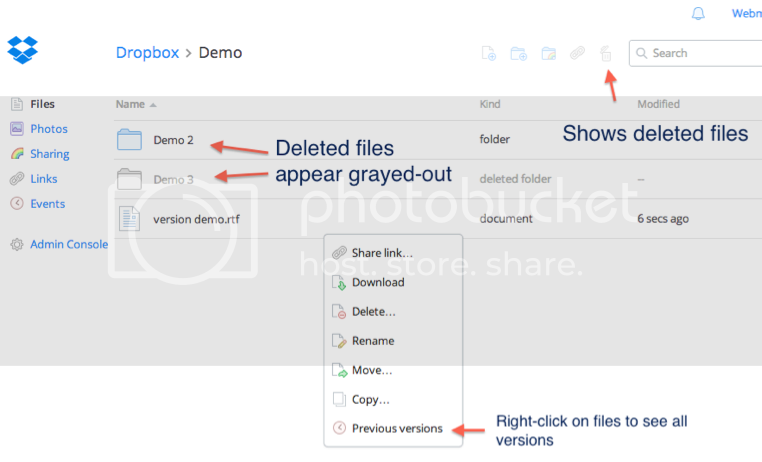 This is extremely helpful for administration, since it can help pinpoint which users created, edited, or deleted files. Shared folders were a great factor as to why we switched to Dropbox over their competitors. Dropbox folders behaved most similarly to the NAS devices we previously used for collaboration. Exactly as the name implies, it's a folder that contains shared data and is updated in real time. For our use, this was VERY important. Since many people in our company work on the same document at one time, it's nice to know there aren't multiple copies that will need to be compared later. Most of our Dropbox users are running Mac OS X and Adobe Creative Suite. Dropbox supports features that are crucial to our company's workflow, such as highlighted files (now called tags) in Finder, or the ability to check out text in InDesign. These things can seem trivial, but when used as frequently as they are here they become a huge time saver. Users have the ability to choose what syncs to their hard drives and what doesn't, which is great when we're stuck with a finite amount of disk space to work with. Also, many of our shared folders have files that not everyone needs, including several large image folders. If a user doesn't need something, no problem. 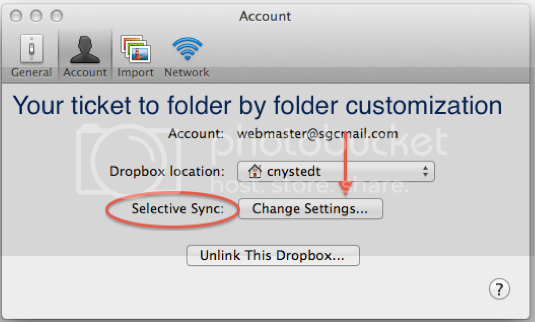 We can go into selective sync settings and tell the folder to stay off the drive. This doesn't mean said folder or file is gone forever. It can be reselected to sync just as easily as it was deselected. We have a fair number of home users that formerly connected to our NAS devices through the use of a VPN connection. It was a great solution in theory and was used for years. The biggest challenge with this process was caused by the ISP of each home user. Those with much faster network speeds or better routers were able to work just fine, but those with average or below average speeds continually had connectivity issues. Most of these issues were related solely to the amount of time it took to open and save files. Since Dropbox integrates the user's local disk and ultimately transfers less data at specific points, it is a night and day difference for those with slower connections. In the end, Dropbox works for us in part because it has common sense features and quick performance, but also because we work in the media industry. As a technology solution, it fits our need for many people to be working on many documents, and to support hundreds of different text documents, images and videos simultaneously. Dropbox is adaptable to many industries, and the service fit seamlessly into our existing workflow; that's why we ultimately chose Dropbox.